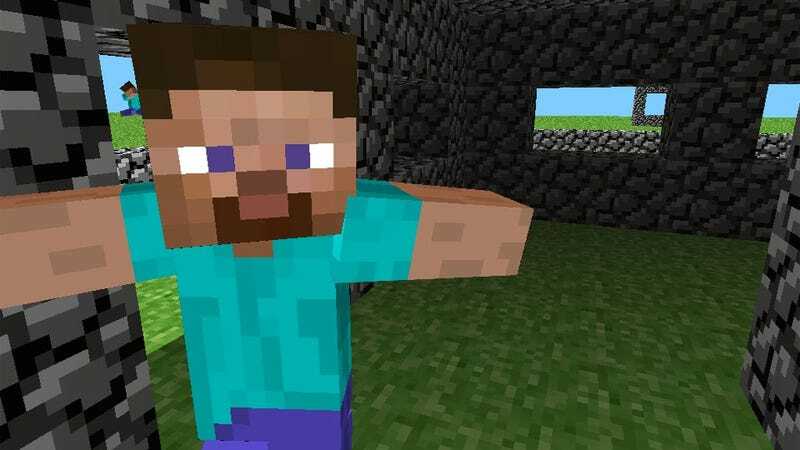 In a recent interview with Develop, Minecraft creator Markus "Notch" Persson discusses EA CEO John Riccitiello's visit to the Stockholm headquarters of Mojang, saying that any acquisition hopes Riccitiello might have had were quashed by the independent studio's vibe. It's no surprise that the highly successful independent developer behind a game that's now sold more than three million copies has to fend off offers left and right. Venture capitalists want to give them money ("we basically don't need it" said Persson during the full interview), and the CEOs of large game companies come calling, as EA's head honcho did earlier this year. Well, EA came to see us. I think they had plans, but the picked up the vibe. Nothing has been said since – it's all very high politics. According to Develop, Riccitiello made a special trip to Stockholm just to visit the house of Minecraft. I contacted EA for confirmation, and was told that while EA doesn't comment on their mergers and acquisitions activity, "John's trips to Sweden are more likely related to marveling at the progress DICE has made on Battlefield 3." Notch also confirmed the DICE visit with me. "He was visiting DICE primarily, but spent a long lunch with us," he said. "Nobody ever mentioned anything about any M&A during that lunch, but there has been definite hints earlier from other people at EA." That having been said, Riccitiello doesn't seem like the sort of fellow that just stops by a ridiculously successful indie developer's office for a sandwich. Perhaps Notch was right, and he didn't find the taste to his liking. Mmmm, Mojang vibe.